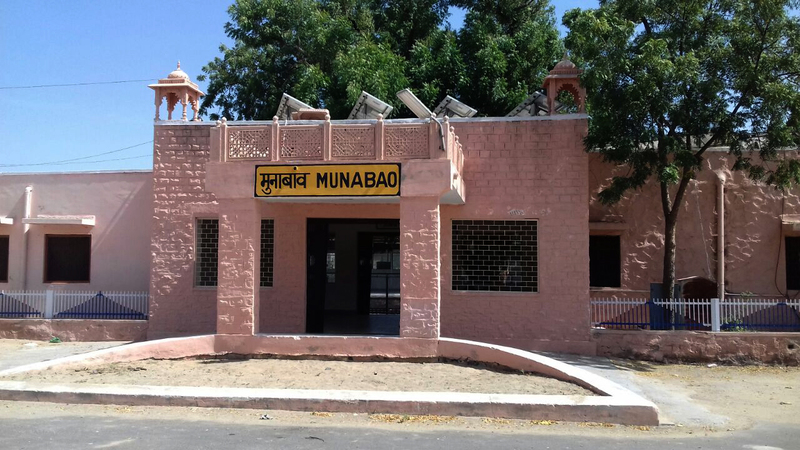 The topography of Munabao has a rustic charm and beauty of its own, hard to find nowadays. Small hamlets make one wonder what it would be like to live at such a place where there are hardly any facilities to which we city dwellers are used to. Water continues to be the most precious commodity in the villages here in this region. Locals say, “Loss of ‘ghee’ by the buckets is no loss, but drop of water is a big loss”. One may wonder what could be their life in summers when temperatures touch around 580 C.
Munabao has only thoughts to offer to those who come here to experience the stillness and since the border with the neighbour is very close by, one is forced to think why have we created boundaries for ourselves, when the life on both sides is the same. The last civilian human settlement is at Jaisindhar, located 9 km away on the road to Barmer or Gadra Road, 38 kms away. Just half a kilometer away from the railway station is the actual border with Pakistan, marked by the border fence and a gate. One’s thoughts are provoked over the man-made divisions, especially while thinking how a uniform landscape, culture, people and their problems are defined in terms of ‘us’ and ‘them’. It’s one of the two frontiers of the Indian Railways. In February 2006, the two nations reopened the railway line, the Thar Express that used to connect Rajasthan in India with Sindh in Pakistan. The line had fallen into disuse ever since it was closed after the 1965 Indo-Pakistan war in which the town itself was captured by Pakistani troops. It is the second active rail connection between the two nations after the Wagah link in Punjab. Khokhrapar is the bordering town in Pakistan.